يقع في City Center, Dunluce Bed & Breakfast إنه المكان الأنسب لاكتشاف تى أناو و ما يحيطها. إن موقعه الجيد الذي يبعد 1.5 Km فقط عن مركز المدينة يساعد النزلاء على الاستمتاع بمعالم المدينة ونشاطاتها. إن سهولة الوصول من الفندق إلى المعالم السياحية الشهيرة الكثيرة في المدينة كمثل Fiordland Water Taxi, Kowhai Gifts & Souvenirs, Te Anau Glow Worm Caves هو استثنائي بحد ذاته. إن الخدمات التي يقدمها Dunluce Bed & Breakfast تضمن للنزلاء إقامة مريحة. لضمان راحة ضيوفه، يقدم الفندق الخدمات التالية: صف السيارات . استمتع بوسائل الراحة الراقية في الغرف أثناء إقامتك هنا. بعض الغرف تتضمن تلفزيون بشاشة مسطحة, اتصال لاسلكي بالإنترنت, حوض الاسترخاء, غرف لغير المدخنين, تدفئة لمساعدتك على استعادة طاقتك بعد يوم طويل. يقدم الفندق مجموعة واسعة من وسائل الراحة المتنوعة، كمثل: سبا, حديقة. 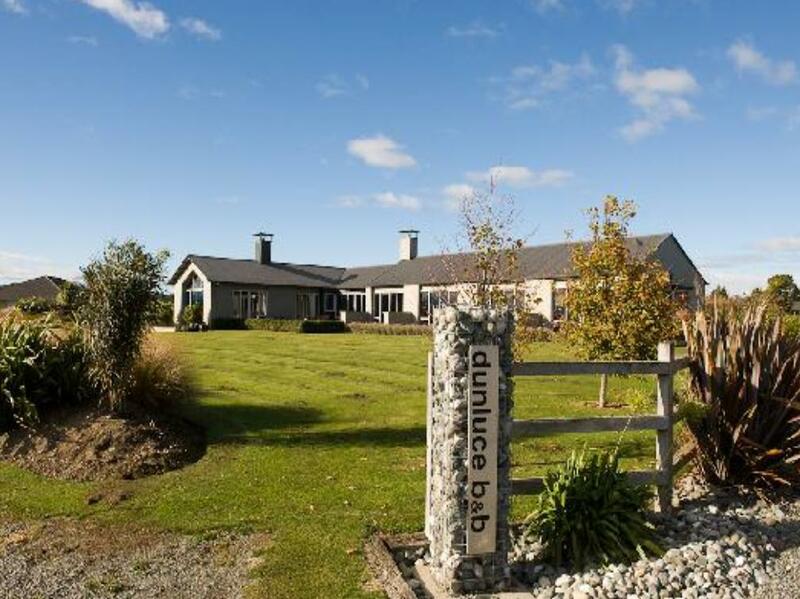 يشكل Dunluce Bed & Breakfast بخدماته الراقية وموقعه الممتاز، قاعدة مثالية للاستمتاع بإقامتك في تى أناو. Quiet, well appointed house with all mod cons. Hannah added a personal touch with her helpful tips on places to eat and things to do. Hannah’s breakfasts were delightful and her personal touches were evident in the preparation. She was warm and friendly and my wife and I enjoyed our conversations with her which helped us understand the local culture better. Well maintained and clean we liked the little touches of cookies, chocolates as munchies for guests and the offer to have a glass of wine (we didn’t take her up on this but it’s the thought that counts!). Hannah helped us select great paces to eat and shop which was quite sweet of her. We could unfortunately only stay 1 night but it was a great stay. Fantastic view from our room. Great host and wonderful breakfast. Very sad to leave. Thank you. We spent 2 nights here with fantastic hospitality from Hannah. When we drove on B&B driveway at first, we felt like coming home. With surrounding landscape and spectacular lake and farm view, a lovely place like this must be a hidden gem. Very cozy room with comfortable bed and sufficient amenities. In lavender season, you also can smell its fragrance around this place. Additionally, daily delicious boutique breakfast from Hannah absolutely is one of the very best I ever had. Thanks for welcoming. We can’t wait to come back again. Great option with a very kind and helpful host. Beautiful views and a delicious breakfast! Dunluce was georgeous & perfect for our night before heading to Doubtful Sound. 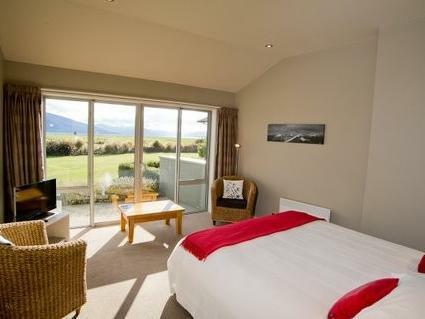 They are welcoming, breakfast is hearty & delicious and the view from the bedrooms stunning. We stayed for one short night at Dunluce Bed & Breakfast and we totally enjoyed it. Good breakfast personally prepared and served by Hannah didn't hurt either! 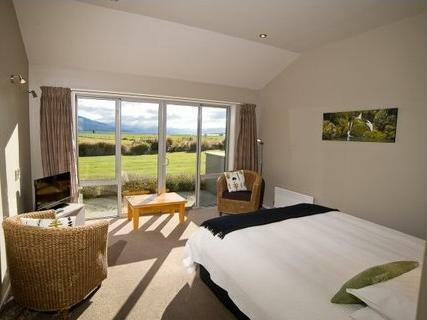 If you want to go to Te Anau downtown, it's just a short distance away from the B&B. Ask for recommendation for dinner and other activities. There are lots of counters/office around the lake for you to sign up at. Perfect location, lovely clean room and delicious breakfast each morning. A simple house made BnB with a nice view of the lake and surrounding mountains. The proprietors are very helpful and kind and accommodating, breakfast was excellent. We were not a fan of the communal breakfast table (getting out of our shells is good but it is stressful to some when you want to be relaxing!) 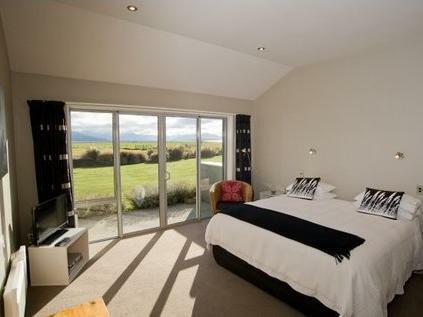 and the price was very high compared to equally nice Airbnb’s we stayed at in NZ. Wonderful place and incredible owners provided and impeccablely clean and cozy lodge. The breakfast was delicious. The only critique would be its time to consider replacing the mattress as it felt a little saggy. Phillipa and Mark were very welcoming and friendly and we had one of the best breakfasts in the whole of our 3 week stay travelling NZ! Very comfortable rooms, beautiful location. ideal setting. Dunluce is without doubt the best B and B we have ever stay at - worldwide. Squeaky clean, warm and friendly owners, the most comfortable of beds - just perfect. And a super breakfast on which to start the day! Stay there and you will see what we mean. We really enjoyed our stay! The room was comfortable, clean, and had a great view. The hosts were quite friendly- they took time to tell us exactly what stops to make on the road to Milford Sound- this helped us tremendously on our trip. Breakfast was delicious as well. 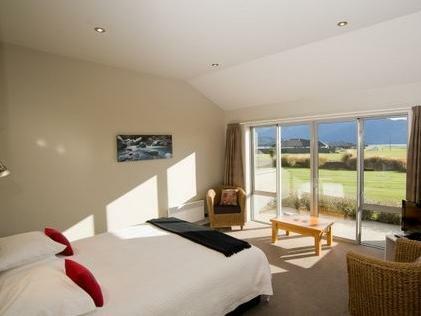 Dunluce was a few min drive to town centre - the hosts were very friendly and accommodation was great :) amazing views from the room - would recommend to couples! Mark & Phillippa are the perfect hosts - helpful and friendly - nothing was too much trouble. Fantastic location, beautiful home & we loved all of the extra touches & details. Breakfast was great too! We highly recommend Dunluce B&B and will definitely stay there again when we are next in town. Thank you Mark & Phillippa for making our stay a truly memorable one!! Great stay made possible by very friendly & helpful owners. Room was clean & large,excellent bathroom, & delicious breakfast each morning. Perfect place to stay for exploring Milford Sound. Thanks Philippa & Mark for your hospitality. If staying in Te Anau, don't miss this place. Extremely well done B&B with amazing views and spectacular and accommodating hosts. Lovely owner couple, we were so lucky to find this place!